This case is little too quirky for heavy credit card use, but perfect if you want to ditch your wallet for a day at the beach. It’s unfortunate that something that looks so great isn’t very practical during everyday use. While the VRS Design Layered Dandy (iPhone 6 and 6s; $35 and available from Amazon and VRS Design) is lightweight and features a leather-textured finish complemented by beautiful contrast stitching, its bulk and design issues keep it from being a winner. Holding and using the folio-style Layered Dandy as you go about your daily routine is a pleasant experience: It is very light, fits well in most pockets and bags, and offers a good balance between portability and protection. Installation is fast—just snap your iPhone into its rigid shell. We appreciated the generous openings for unhindered access to all buttons and ports, as well as the three slots for credit cards and a larger compartment for your cash. The downside to having so much room is that, if you use up every last bit of it, this case becomes quite bulky. That makes it difficult to close properly. Even though the case is secured by a magnetic flap that partially addresses this issue, the cover still feels a little too wobbly, and, in our tests, it didn’t reliably cover the entire screen. This issue isn’t as big of a deal when your iPhone is safely in a pocket or bag, but we’re concerned about what could happen if it falls face down without a screen protector installed. The case also doesn’t work well with a car mount, although the company sells an optional magnetic accessory that can be used for this purpose. 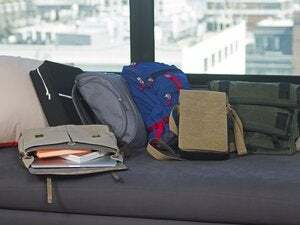 Overall, the Layered Dandy is a great-looking case, and does offer a lot of space for someone who can’t quite pare down to just a credit card or two. 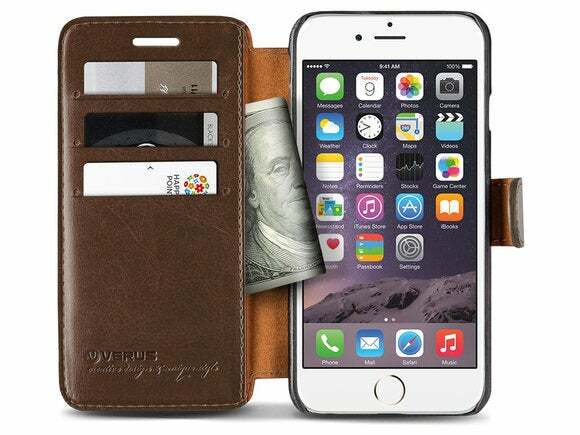 Its quirks, however, limit its usefulness precisely in those situations where a wallet case is most useful. This case has a gorgeous look, but its bulk and design issues keep it from being a go-to pick.